Aquasana is pleased to introduce a brand new product, the first-of-its-kind OptimH2O® Whole House Filter, certified for the reduction of lead, cysts and PFOA/PFOS. 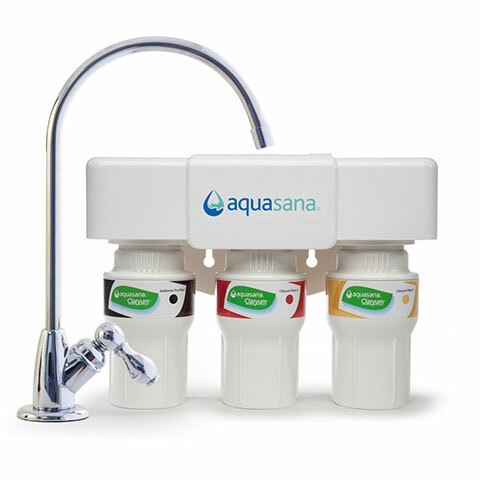 Designed to improve overall health and wellness, the Aquasana OptimH2O® whole house filter is IAPMO certified to NSF standards to reduce more than 99 percent of lead and cysts, 98 percent of PFOA/PFOS, and also tackles 90 percent of chlorine/chloramines, so your family can enjoy cleaner, better tasting water from every tap in your home. From Flint, to Chicago, to D.C., lead and PFOA/PFOS contamination is a growing concern impacting millions of Americans every year, with serious health effects that are particularly dangerous for our most vulnerable members of society — children and the elderly. In fact, 500 thousand children, ages one to five, reportedly suffer from lead poisoning in the United States, and approximately 63 percent of Americans are “concerned about what’s in their water,” according to a new survey of more than 1,500 adults conducted by Google Surveys for Aquasana. Aquasana’s new system is the only whole house filter certified to reduce lead, cysts and PFOA/PFOS. The OptimH2O filter has been independently tested and certified by IAPMO to NSF/ANSI Standard 53 for the reduction of both soluble and particulate forms of lead and cysts, as well as NSF Standard P473 for the reduction of PFOA/PFOS. 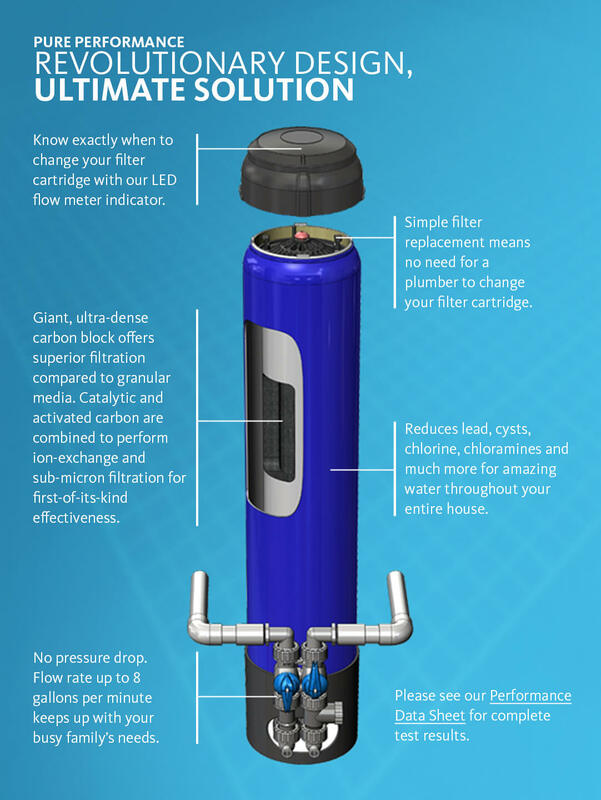 The OptimH2O’s innovative “lift and replace” design makes it easy for you to maintain and replace the filter cartridge without the help of a professional. Our system’s LED indicator turns from green to yellow to red based on the number of gallons filtered, leaving zero guess-work when it’s time to change your filter. 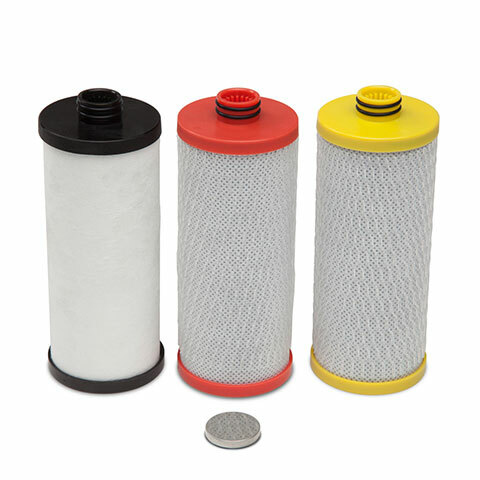 Sediment pre-filter – Extra large filter captures rust, sediment, and silt down to 1 micron. Carbon block – Reduces lead, cysts, PFOA/PFOS, chlorine, chloramines, and more. Optional Salt-free softener – Prevents minerals from binding and forming scale build-up. Optional UV filter – Further protects against bacteria and viruses that could be present in your water. Aquasana’s premium new OptimH2O whole house filter is available for $1799. 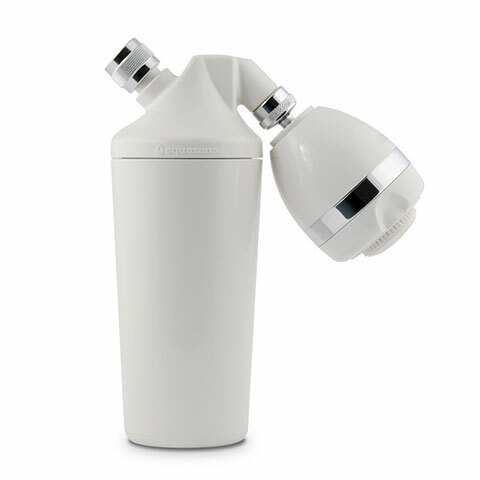 No matter how your city treats your water, the OptimH2O filter treats it right.